Hoverboards are a marvel of engineering that have become popular in the past few years. Being able to move fast with very little effort is a lot of fun, which is why they are staple gift items whenever the holiday season comes around. More than being used just for fun, hoverboards have been used for more practical applications as mobility devices in large warehouses and factories. If you are shopping for a hoverboard, you are going to have to answer a few questions before you pick out the best hoverboard for you. Hoverboards come with several specs, one of the most important of which is its weight limit. In this article, we take a detailed look into what determines the weight limit of a hoverboard, what will happen if you go over this limit, and the typical weight limits of hoverboards available today. Why do hoverboards have weight limits? All hoverboards have a declared weight range recommended for their use. This weight range includes both a minimum and maximum weight. Most hoverboards have a minimum weight of 44 lbs. Having a kid that weighs less than this ride a hoverboard is probably not safe. Besides, hoverboards rely on the weight of the rider to determine the speed and direction in which it will move. As for setting the maximum weight, this is probably a matter determined by the types of materials used to construct the hoverboard. Most hoverboards have frames made from ABS or polycarbonate plastic. Although these plastics are very durable, they are also somewhat brittle and will tend to crack with excessive stress. More than making the hoverboard look good, the external shell of the hoverboard also serves to protect the sensitive electronics inside. Aside from the outer shell, there are several other points of failure that can get compromised when you overload a hoverboard. Connecting screws, brackets, wheels, the wheel axles – all of these may get damaged if they are used beyond the weight that they were designed for. Besides, the power output of the motor of the hoverboard is probably also limited to the weight capacity of the hoverboard. Since all modern hoverboards have to be UL 2272-certified before they are released to the market, it can be assumed that they undergo rigorous testing to determine their operational limits. This means that the weight capacity declared for each hoverboard is grounded on actual tests and is far from arbitrary. What will happen if I go over the limit? Realistically speaking, it’s unlikely that a hoverboard will suddenly undergo a spectacular failure the moment you load it with a weight beyond its capacity. After all, the declared weight capacity of these hoverboards probably have a built-in safety margin. If a situation comes up and you absolutely must go over your hoverboard’s weight limit, then go for it. A one-time non-abidance to the weight limit will possibly not be a problem. However, frequent and regular use of your hoverboard beyond its weight capacity will inevitably lead to problems down the road. Even if a spectacular failure does not happen, you will probably accelerate the wear and tear of your hoverboard. Eventually, the outer shell may crack, or a wheel may come lose, or the motor can get burnt out. You will not get to enjoy the longevity of the hoverboard as the manufacturer designed it. Besides, overloading your hoverboard will probably tax its motors and batteries to the point where they cannot perform as expected. An overloaded hoverboard may be slower than its rated speed because the motor cannot handle the excess load. A motor running at maximum capacity is also very inefficient power-wise, which means your battery may not be able to last as long as when the hoverboard is carrying a lighter load. Let’s face it: if your hoverboard cannot deliver the speed that it has promised, then what’s the point? What are the usual weight limits of hoverboards? 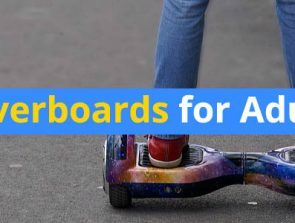 Given the drawbacks of exceeding the weight limit of your hoverboard, let’s look at the typical specs of some of the most popular hoverboard brands available today. Some hoverboards are clearly designed for kids with weight limits that are only in the neighborhood of 180 lbs or less. Other models are a little more robust, with weight limits of 220 lbs or more, with others as high as 260 pounds. The average hoverboard has a maximum rider weight of around 220 pounds. You’ll have to search for heavy duty models to accommodate a higher weight. It’s easily noticeable that most hoverboards for adults have a weight limit of 220 lbs or 100 kg. This should be enough for a huge majority of adults, although exceptionally huge people might still have a problem. Fortunately, all hope is not lost, as certain hoverboard models can carry as much as 400 lbs or more. 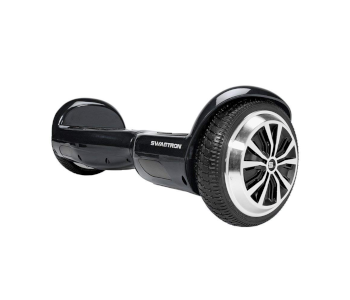 The Swagboard Pro from Swagtron is one of the most popular hoverboard models today. It is the adult-sized version of the Swagboard Classic, also known as the Swagboard T5. With a modest 8 mph top speed, the Swagboard Pro isn’t a particularly exciting ride, but it is hard to beat in terms of safety and smoothness of the ride experience. With the variety of skins to choose from, the Hoverfly ECO from GOTRAX might be one of the most stylish hoverboards for adults available today. Aside from the 7 different designs to choose from, the Hoverfly ECO comes with LED headlights that change color when you go forward, reverse, or make a turn. Despite these features seemingly appealing to young people, the Hoverfly ECO has a weight capacity that can fit both kids and adults. The HOVERZON S Series hoverboard has a weight limit of 220 lbs and boasts of superior safety with its patented Hoverzon Aegis Armor smart battery management system. With an array of LED lights and rubber bumpers, the HOVERZON S seems to focus a lot on safety while still delivering a fun hoverboard experience with its 8-mph top speed and 11-mile range. The CHO All-Terrain Scooter is our first entry into the heavyweight hoverboard category. With a weight limit of 264.5 lbs, the CHO hoverboard should be able to carry most adults without a problem. Being an all-terrain model, the CHO hoverboard is equipped with a more powerful motor and is made with more durable materials. Being this strong has also made the CHO hoverboard heavier – it weighs in at about 35 lbs. Finally, the Swagboard T6 from Swagtron probably has to have one of the highest weight limits of commercial hoverboards. With an astounding 420-lb capacity, the Swagboard T6 is a hoverboard made for adults of literally all shapes and sizes. 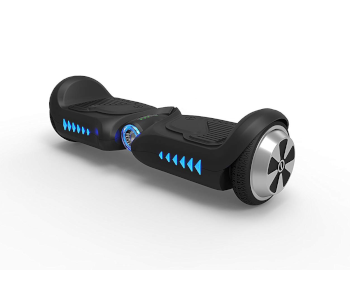 It is also an all-terrain hoverboard that is equipped with 10-inch tubeless tires and a powerful 300W dual motor. It’s also impressively fast with its max speed of 12 mph. At 32 lbs, the Swagboard T6 is no lightweight but is not too heavy for a rider to carry it around. Listed above are some of the most popular hoverboards with weight limits that are more appropriate for kids. The Surfus Junior is particularly interesting with its 132 lb weight limit, implying that it was designed specifically for kids. It is an excellent choice for a hoverboard for young users, as it has an overspeed alert should it start to move beyond 10mph. This hoverboard is recommended for kids ages 6 and above. The other entries have weight limits that are a little higher in the range of 175 to 190 lbs. Although the weights of most adults fall within these range, it can still prove to be problematic for bigger adults to ride these hoverboards. 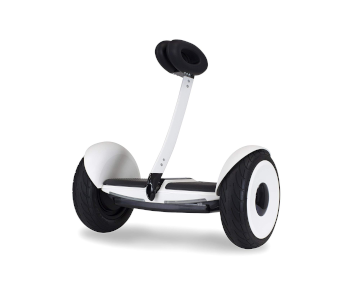 The Segway miniLITE is the “lighter” version of the miniPRO. It has been scaled down in almost all aspects, including its motor power and its weight limit. With a modest 175-lb capacity, the miniLITE is perfect for average-sized adults and big kids. 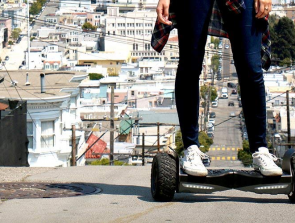 The feature that sets it apart from other hoverboards is the trademark Segway knee control bar that makes it easier to learn how to ride while also making the riding experience more comfortable. The Hoverheart Hoverboard is a fun model that has an integrated wireless speaker and LED lights, on top of some very interesting skin options. With a weight limit of 180 lbs and a maximum speed of 10 mph, the Hoverheart is a perfectly safe hoverboard for young kids. It’s a little more stylish than the other hoverboards, so you can expect your young one to have hours of fun with this. 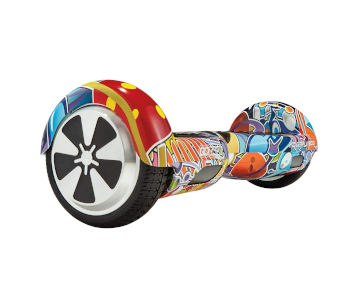 The Swagtron Swagboard Classic, sometimes referred to as the Swagboard T5, is Swagtron’s entry into the for-kids hoverboard market. With a max speed of only 7 mph and a Learning Mode that even further restricts the speed at which it can go, it is the perfect hoverboard for young people who are still learning how to ride hoverboards. Hoverboard weight limits are determined by a number of factors: the power output of the motor, the material of the external shell, or the material of the wheels. 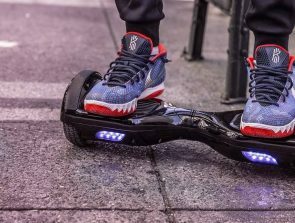 Commercial hoverboards undergo a battery of tests before they are made available to the market, so it’s fair to assume that the declared weight limits are based on the results of these tests. It will be wise for all hoverboard riders to heed the weight limits declared by the manufacturers to avoid problems with their hoverboards down the road. Aside from accelerating the wear and tear of a hoverboard, riding it beyond its weight limit will also probably make it slower and more sluggish. It will not be able to move at the speeds that it was designed to, and the battery will probably not last as long as intended. We have listed above the weight limits of some of the most popular hoverboard brands available today. If you’re planning on giving a hoverboard as a gift, you need to consider if you are going to buy a hoverboard for kids or for adults. Aside from having lower weigh limits, hoverboards for kids usually have more built-in safety features and a Learning Mode to help kids get the hang of riding a hoverboard. On the other hand, hoverboards for adults usually come with a weight limit of 220 lbs or 100 kg. This limit should be enough for most adults, although there are still a few exceptions. For exceptionally huge or heavy adults, you may have to look into all-terrain hoverboard models. These hoverboards are built with more powerful motors and more durable materials, giving them enough strength to handle heavier loads. However, these all-terrain models are also heavier, less portable, and generally more expensive.